Well, this was totally adorable! Me and my 8yr old niece enjoy reading stories to each other, so I am always on the lookout for a good children’s book. This was a good children’s book. 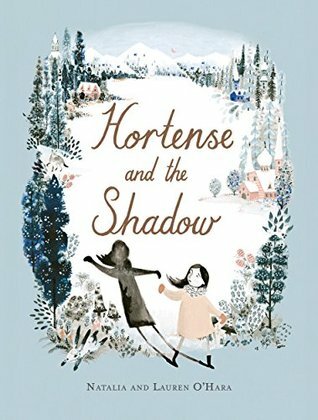 The story is of a little girl, Hortense, that decides to cut off her shadow as she doesn’t like it and thinks it doesn’t like her. 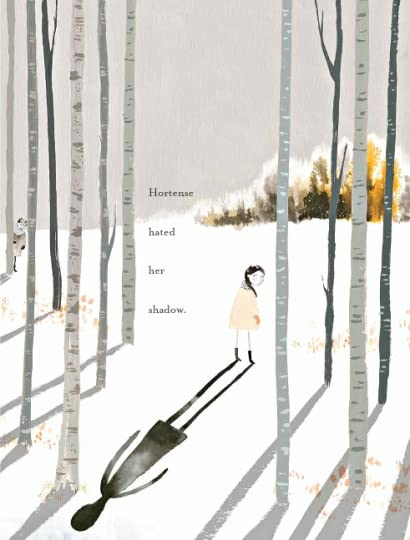 When bandits attack, Hortense’s shadow helps scare them off and Hortense decides she likes her shadow again. This is super cute. A lovely story exploring the need to love oneself and all that comes with that. The setting is wonderful, a medieval snowy environment. This is a short, easy, but sweet and highly enjoyable folk tale. The artwork throughout is simply stunning. So much so, I ordered a couple of prints to display in my office. We enjoyed it so much we decided to buy a hardcover version to add to the children’s book collection. Anyway, we’re off to frolic in the woods. Peace and Love. Fab review! The art work looks gorgeous!